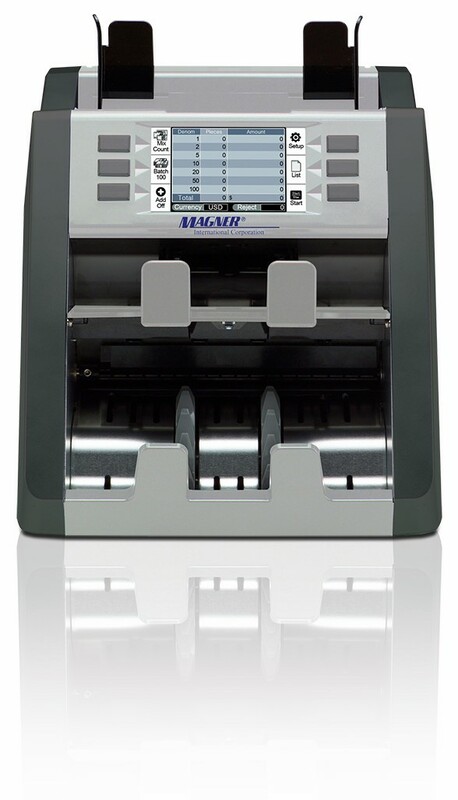 The Magner 151 is a highly portable, high-speed 2-pocket multi-currency sorter. The Magner 151 can automatically recognize up to 15 currencies and has a full-line CIS sensor with dual light guide, UV, MG, MT, IR and FL detection. 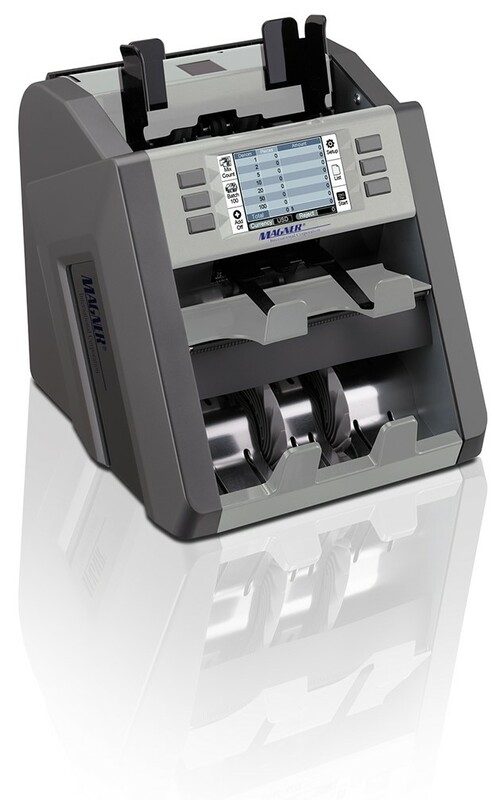 With a bright and clear on-screen menu, extensive connectivity, USB updates, and easy maintenance, this is one of our most user-friendly and compact currency counters.